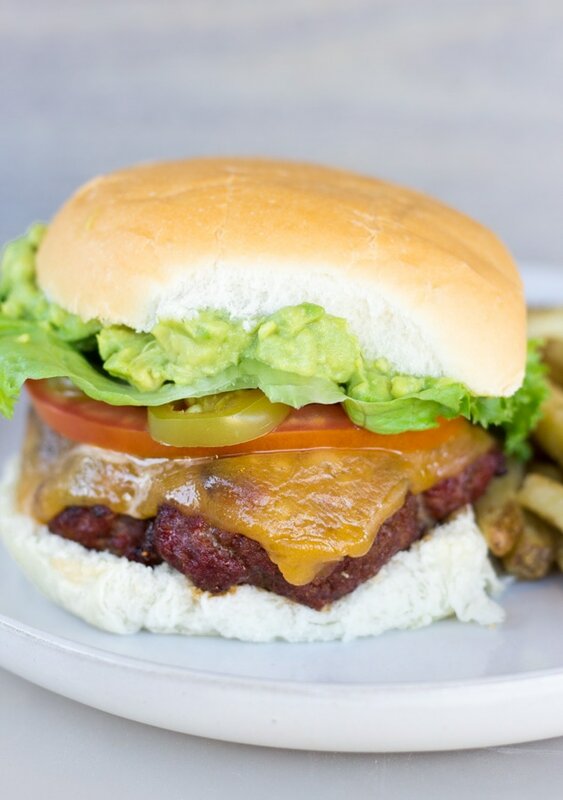 Give your burgers a Mexican Twist with chorizo, jalapeños, and guacamole. 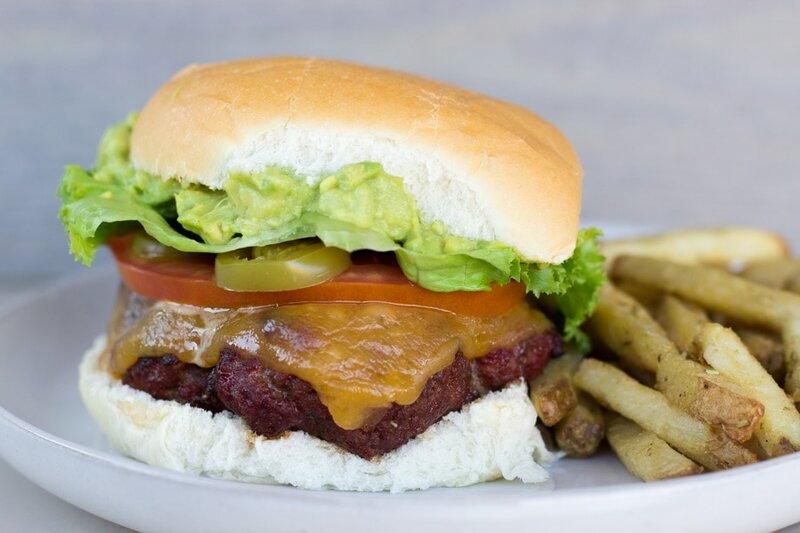 This Chorizo Burger with Guacamole and jalapeños gives a punch of flavor and heat while the guacamole makes it cool and creamy. 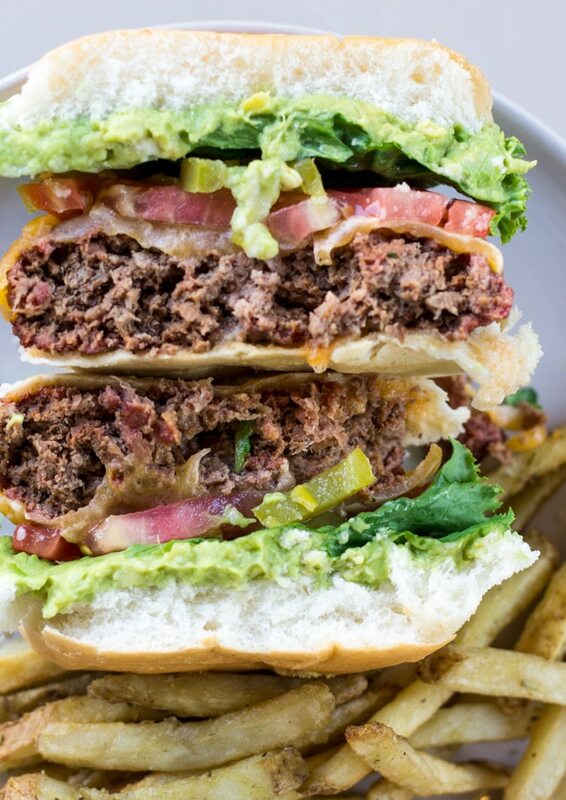 Burgers are an all American favorite and have evolved into customizable creations. They are perfect for gatherings since everyone can add toppings of their choice and burgers don’t require a lot of prep work. 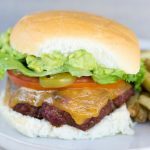 I love the Mexican twist on this chorizo burger since it has the perfect balance of spice and fat from the chorizo. I used beef chorizo and cooked it in a cast iron skillet, drained the grease, and let the chorizo cool in the fridge. Once the chorizo is cooled, you can mix it gently with the ground beef. Don’t mix the meat too much, or the burger will be too dense. Form 4 even patties, and season both sides with salt and pepper. A tip for making a good burger is to form the patty bigger than the bun, since they will shrink during cooking. Also place a small indention in the middle to prevent the patties from puffing up. Place the patties on a grill or cast iron skillet and cook to your desired temperature. The chorizo is already cooked, so the burgers can be medium if desired. I prefer cooking the burgers on a cast iron since they form on a nice crust on the outside. For the guacamole, I keep it simple with just avocado, lime, and salt. Top with sliced cheese, or hold the cheese in my case, then add sliced tomatoes, jalapeños, lettuce, and guacamole. Serve with some fries for a perfect Summer meal. This Chorizo Burger with Guacamole and jalapeños gives a punch of flavor and heat while the guacamole makes it cool and creamy. Cook chorizo in a skillet, over medium high heat till fully cooked, about 10 minutes. Drain grease, and place in a bowl in the fridge to cool down. Once chorizo is cooled, mix it gently with ground beef. Don’t over mix the meat or it will become too dense. Form into 4 even patties that are larger than the buns, since they will shrink during cooking. Season both sides of patty with salt and pepper. Cook on a cast iron skillet or grill until desired temperature. Smash avocado with a fork, and mix with lime juice and a little salt to taste. 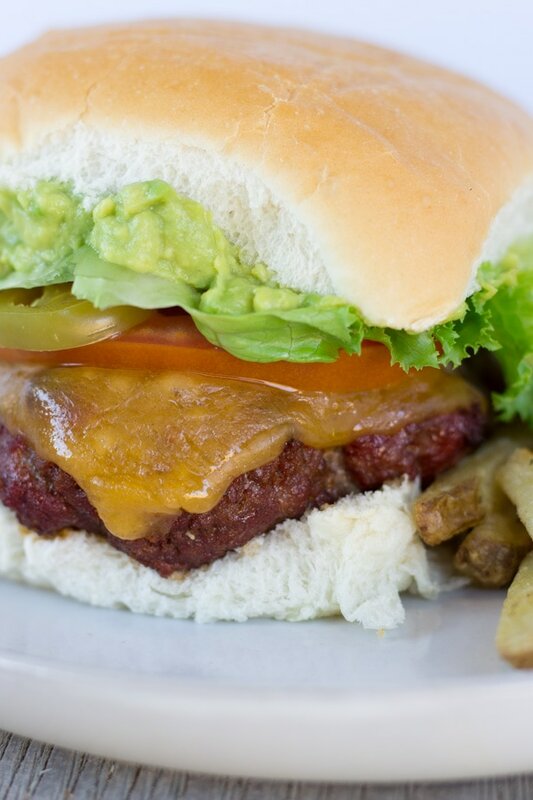 Lightly toast buns and build your burger with toppings and guacamole.